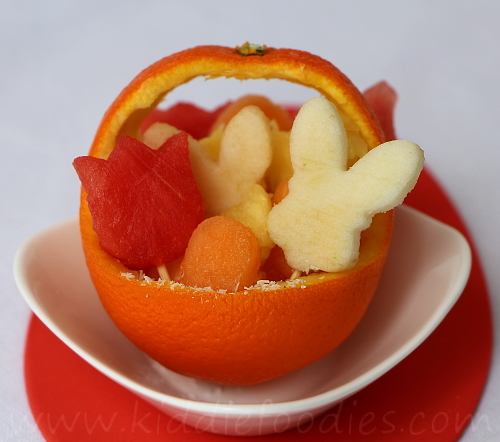 Making a fruit basket can be a great opportunity to let the kids play with food! 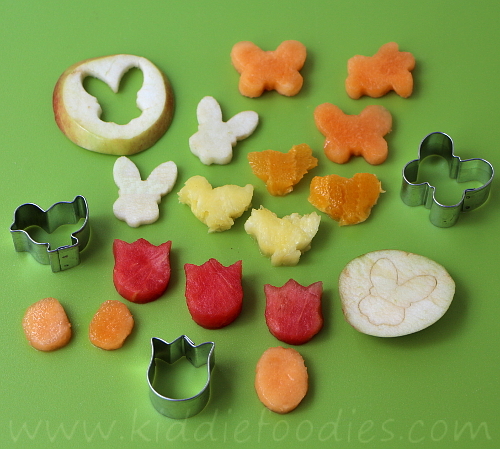 Thinking already about Easter, I bought some cookie cutters and I thought it was a pity to let them wait until then. 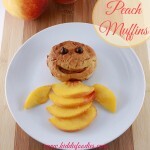 So I invited my daughter to have some fun in the kitchen while I was cooking. I told her she would be responsible for a dessert - she loves to be responsible for something now. As a matter of fact, they learn how to be responsible at school, where they have a board of responsibilities, so she even wants to have one at home. 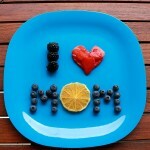 I gave her some fruits and cookie cutters and she made a lot of cute things. Then I had an idea to mount them on toothpicks and place them on something: an orange seemed to be a good idea. 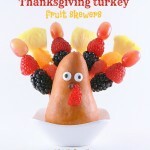 So I cut it in the shape of a basket and we placed our fruits inside. How cute is that ? 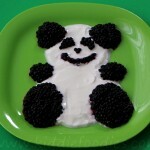 :) My daughter was so proud of her dessert and she said that it was the best part of the whole meal! Did you know that in the 11th century, oranges were grown widely in the south of Europe for medicinal purposes? Then, in the 15th century, oranges were considered a luxury good and wealthy people grew oranges in private conservatories, called orangeries. 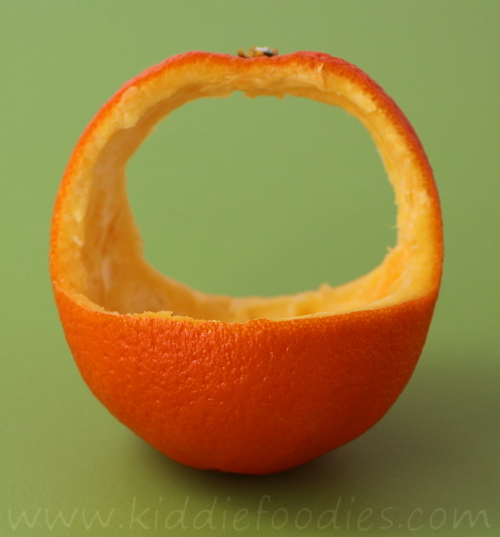 With your knife, cut the orange to shape a basket. Remove the fruit from the inside. 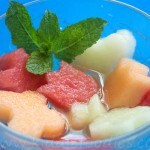 Use different cookie cutter shapes to cut the fruits. Mount them on the toothpicks, adjusting the length to your needs. 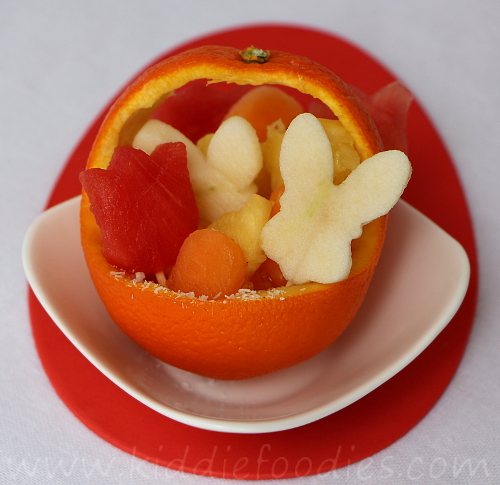 Place all the fruits shapes inside the orange basket. Enjoy!